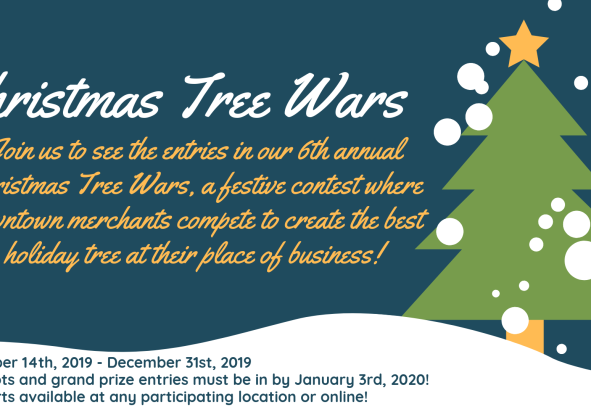 Come out to downtown Hanover to check out the local businesses’ entries in our 6th Annual Christmas Tree Wars! 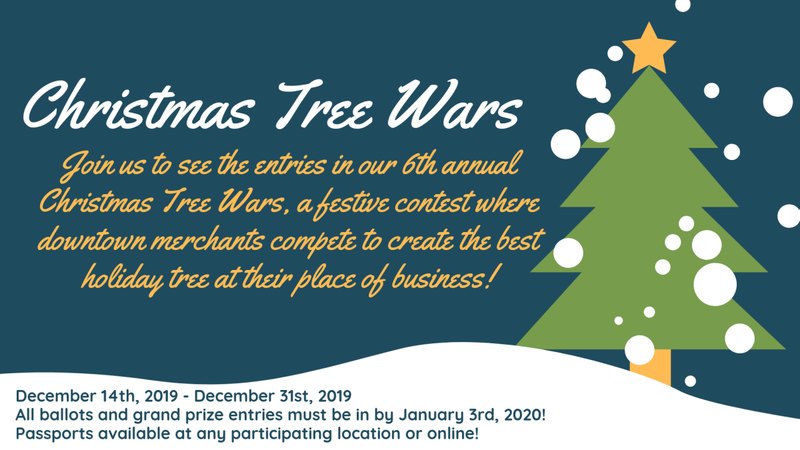 Main Street Hanover, in conjunction with downtown businesses, will host this festive contest throughout the holiday season. The friendly competition is designed to decorate every business in downtown with a unique tree or lighting display. The tree can be made of any material and can be placed anywhere inside or outside the business. Christmas Tree Wars will run from December 13th to December 31st! Remember to pick up your passport at the Hanover Chamber Office, Santa’s Cabin, any participating location, or print it online! The passports will be stamped at each business and filled for entry into a prize drawing upon their return. Passports can be returned to Hanover Chamber, 146 Carlisle St. via the mail slot. All ballots and grand prize entries must be submitted to Main Street Hanover by January 3rd, 2020!